The basis of a Paleo diet is to remove all grains and beans. One reason is that they contain lectins. Lectins have been a hot topic of debate lately. To avoid or not, that is the question many ask! Dr. Gundry’s “The Plant Paradox” has brought to light a food component that previously hasn’t been a consideration for most. Lectins are a type of protein that bind to the cell membranes of some sugars or carbohydrates. Their binding has been compared to Velcro; as separately they are weak, but together their link is stronger. For plants they act as a defense against insects, pests or bacteria. 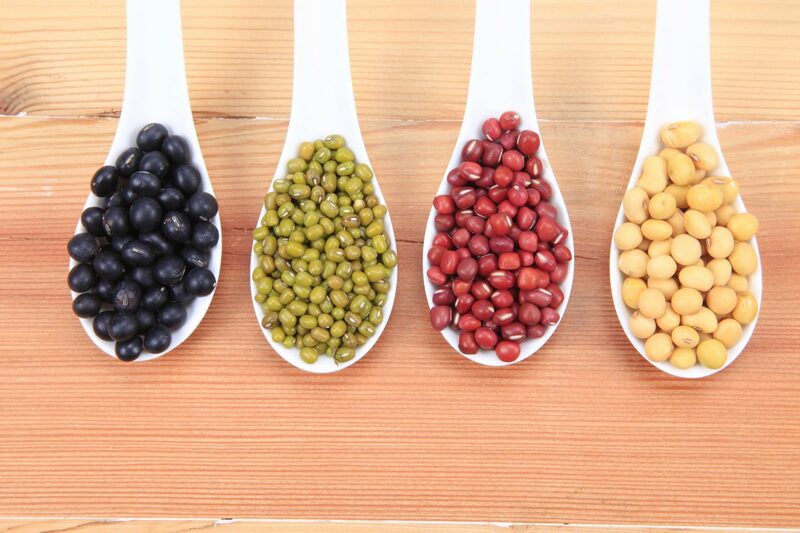 In humans lectins are thought to have many benefits including a strong role in immune function, cell death and growth, as well as body fat regulation. Lectins are just one component of a whole food. It is tricky to isolate a part from it’s whole and extrapolate if the benefits of eliminating an entire food group outweigh the risks of losing out on the additional benefits that food brings. For example: legumes. Legumes contain lectins as well as an abundance of beneficial phytonutrients with a long list of benefits. Whole grains: contain lectins and they also serve as food for beneficial bacteria in the large intestine. Long-term restriction of whole grains, legumes or specific vegetables will ultimately reduce the diversity of the microbiome, at the very least. Then, why do some many people have issues with lectins? It is worth mentioning that once legumes and whole grains are cooked properly their lectin content is greatly reduced and for most are a non-issue. Besides sprouting red kidney beans – or cooking them too low and slow, the lectins in these food groups should not cause an issue unless something deeper is amiss. Studies and practice has demonstrated over and over that specific lectins or their whole food component causes issue in patients with a chronic illness. For example: wheat should be eliminated in any case of autoimmune. Also, peanuts or certain legumes may cause digestive inflammation in patients with colon cancer or IBD. Why would lectins cause digestion issues? Firstly, are you cooking them properly? Soaking and cooking legumes and whole grains is necessary. If symptoms still persist, try cooking with a tablespoon of apple cider vinegar to further assist in the breakdown of the lectins. If there are still issues then I ask, why? What else is happening in the body to make them intolerable? The possibilities are almost endless: it could be as simple as the body not producing enough stomach acid, or an imbalance of digestive enzymes. OR it could be something a bit more complex like SIBO, or any IBD, unidentified food allergies, the list goes on. Beans, legumes, whole grains (and nightshades) are all nutrient-rich and fiber dense and should be included in most people’s diets to some degree. If any of these foods bring discomfort- find the source of the trouble and attack that! Freed DJ. Dietary Lectins in Food Allergy and Intolerance. Brostoff and Callacombe Editors Bailliere Tindale Publishers, London. Freed DL. Do dietary lectins cause disease? BMJ 1999, 318:1023-1024. Ibrahim, SS. Effect of soaking, germination, cooking and fermentation on antinutritional factors in cowpeas. Nahrung/Food. 2002; 46(2):92-95. Ren L, Perera C, Hemar Y. Antitumor activity of mushroom polysaccharides: a review. Food Funct 2012, 3:1118-1130. Sharon N. Lectins: Carbohydrate-specific Reagents and Biological Recognition Molecules J Biol Chem 2007;282:2753-2764. Gall Bladder Issues? Consider Bile!